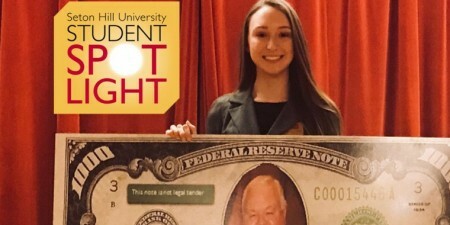 Seton Hill junior and Elementary Education with Special Education major Laura Kerestes is turning her love for children into her career. 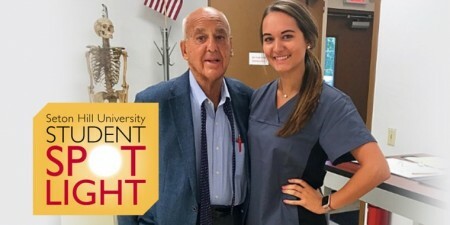 Laura has been gaining valuable professional experience as an assistant teacher at Seton Hill’s Child Development Center since her freshman year. This unique experience has given her the opportunity to couple class learning with hands-on teaching experience by working with children directly and in small groups. Laura also participates in many campus activities, including the Griffin Marching Band, Pep Band and Concert Band. She’s also the secretary of the Education Club and a cast member for the Theatre and Dance Program’s upcoming Dance Spectrum performance.